Is Justice League the last time we’ll see Ben Affleck as Batman? The answer is... maybe. Yup, this again. The Batman. Ben Affleck. Matt Reeves. Will they? Won’t they? Does anyone really know? There is an opportunity for Toby Emmerich [Chairman, Warner Bros. Pictures Group] to really reshuffle the executive deck on the feature side and turn DC into something more formidable than it is right now, even as a James Wan-directed Aquaman is coming and Wonder Woman 2 is in production, with Matt Reeves rebooting Batman for a new standalone franchise, likely with a new actor to play the Caped Crusader after Ben Affleck’s stints in Batman v Superman and Justice League. The word “likely” is the key there, suggesting it’s probable but not set in stone. It’s also unclear if Deadline’s reporting is based on new information or the same old middle ground we mentioned above. Either way, io9 contacted both Warner Bros. and Affleck’s representatives for comment, but have yet to hear back from either. Could we hear an announcement about Reeves’ film at San Diego Comic-Con in July, where Warner Bros. is likely to have the biggest, most buzzworthy movie panel? It’s possible, but doubtful. 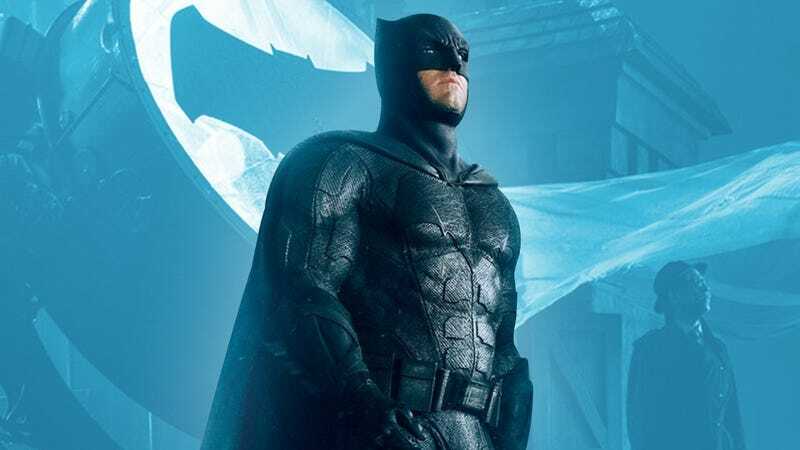 More likely is that the secret will remain between Reeves, Affleck, and the executives at Warner Bros. responsible for the film for a while longer. When Reeves’ script is done and WB is ready for the film to move forward (and fit into its rather large Bat-slate), then maybe we’ll find out if Affleck will wear the cowl again or not. But for now? We wait and brood. Update: The Hollywood Reporter did an update on the state of DC films and said that Reeves’ script features a younger Caped Crusader. So it seems very likely that these rumors are true. And have been since last summer.